Charlotte, N.C. (June 6, 2016) - After a strong run ended in tire failure at Berlin Raceway just 4 days before, Dalton Sargeant and the No. 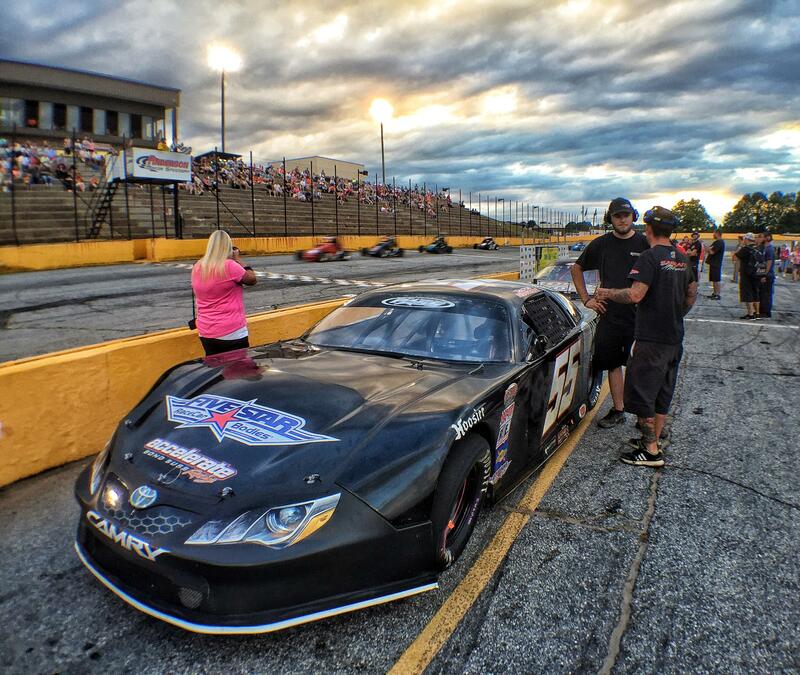 55 Windows 10 Toyota Camry team led by Bond Suss made their way south to Anderson Speedway for an exciting weekend of PASS South Racing. After a mishap in practice and a lack of practice time, Sargeant continued his wave of momentum with a 2nd place qualifying effort, placing him a favorite for the 150 lap short-track event. The No. 55 played the tire conservation game and at the beginning of the race, lost some track position playing it safe and hoping for mid race cautions to make its way upfront. That's exactly what Sargeant recieved as some timely cautions and some hard racing found the 55 in the lead with under 5 laps remaining. After a last corner of the last lap incident occurred with the second place driver, Sargeant eventually crossed the finish line in the 9th position. "Thats a really tough one to take, this Windows 10 team worked really hard throughout the day, we had a little oil fire in practice which limited our time on track, but we all knew even ahead of time our Toyota Camry was going to be fast and we proved that in qualifying. In the race we started losing forward drive sooner than I had hoped which put us around 2nd to 3rd for most of the race. I continued to save tires and it paid off as a few late race cautions allowed for those better tires to shine and we moved into the lead with a few laps to go. Frustrating end, we raced hard for the lead and thought we were good with a few car length lead on the last lap, but the second place car just completely ended our bid for the win in the last corner. It's really unfortunate, we had put together a winning effort and for it to end like that was pretty tough, I'm sure we'll get that opportunity again soon."